There are currently no upcoming events. 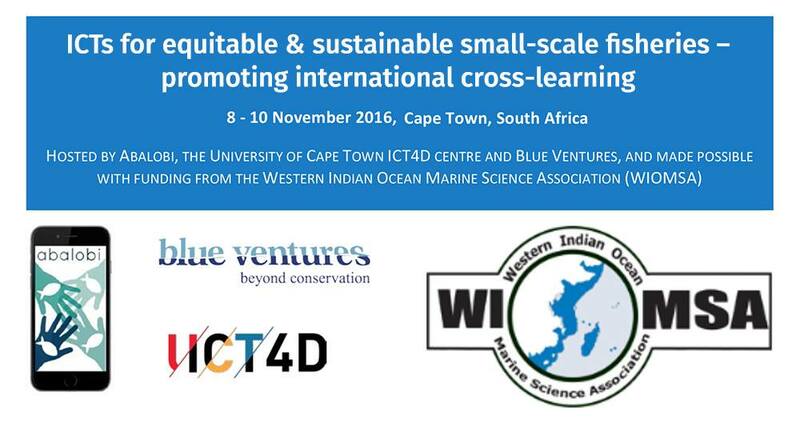 Should you wish to list an ICT4Fisheries event on this page kindly contact us using the contact form on this site. Click on the tabs below to expand. 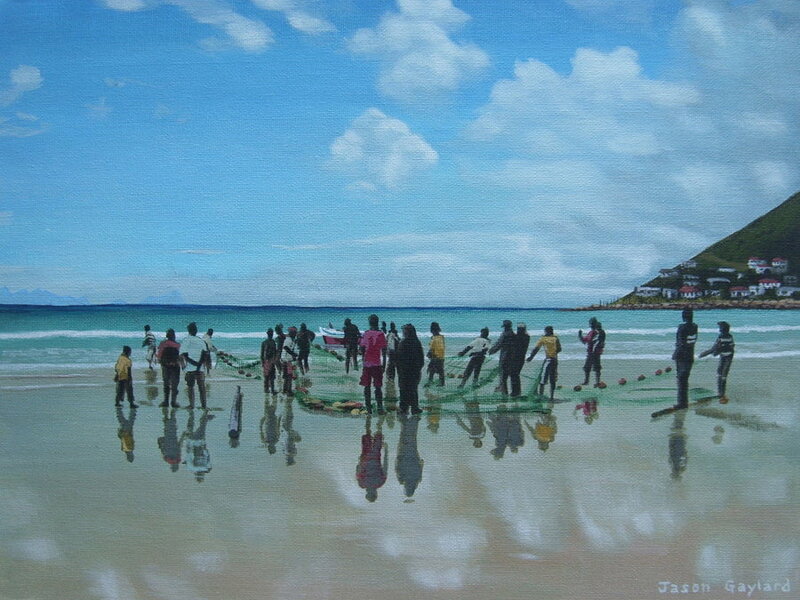 Small-scale fisheries (SSF), encompassing all activities along the value chain, play a critical role in food security, poverty eradication, equitable development and sustainable resource utilisation, with an increasing research and development focus on more inclusive and innovative governance systems. With the current worldwide trends towards the increasing affordability of mobile devices, rapid development of internet connectivities, and ease of use of web and mobile applications (apps), information and communication technologies (ICTs) are increasingly being used to develop sophisticated systems to address some of the world’s more pressing social and ecological challenges. This provides an exciting opportunity to engineer innovative ICTs to assist small-scale fishers and relevant stakeholders in their day-to-day operations. Various open-source platforms, already in existence or in development, can enable fisher communities to be incorporated into information and resource networks: from fishery monitoring and maritime safety, to local development and market opportunities. Critical questions in this approach pertain to data ownership, protection of local knowledge and power imbalances related to the use of new technologies and data. Further questions lie in the scale and uptake of such technologies in regional fisheries management efforts. We believe that ICTs, if co-designed by and for SFF, can provide an entry point into all key principles underpinning the United Nations Food and Agricultural Organisation’s Voluntary Guidelines for Securing Sustainable Small-scale Fisheries (VGSSF). Accordingly, the workshop organisers have engaged with diverse fisher groups and stakeholders who are developing open-source apps and have expressed interest in engaging in broader, international cross-learning and collaboration. find practical ways to pool strengths and experiences and thereby foster collaboration, with specific focus on the need for integration of various apps, their ease of use, sustainability and accessibility across the globe. Demonstrations and presentations will be followed by group work and discussions centred around the core VGSFF principles. Outputs will include, inter alia, a workshop report, short Best Practice Guidelines for ICT4Fisheries linked to the VGSSF, potentially a collaborative programme and funding proposal for joint work and exchanges, and a website portal linking various ICT4Fisheries initiatives for ease of access. See the detailed workshop agenda below. The workshop will commence on Tuesday 8 November 2016 and conclude on Thursday 10 November, with registration at the workshop venue from 18h30 onwards on Monday 7 November 2016. Click on the tabs below to access the agenda per day. How does the ICT link to your key challenges? How applicable is this to your fishery and what would be the main points to consider? How does/can this ICT empower fishers/fishing communities? What is the main VGSSF entry point that this ICT tries to address? 14h00 – 14h45: How do VGSSF Principles Relate to ICT4D? Plans for a network portal & follow-on workshop: What to include, & which portals to link? Which ICTs & initiatives were not addressed in the scope of this workshop? Welcome to the ICT4Fisheries portal! This portal is intended as an information hub for Small-Scale Fisheries Information & Communication Technology For Development (ICT4D) stakeholders. To register as a stakeholder, kindly fill in the contact form available on this website.